I'll say this first. I love this system. Now before anyone argues against this I'll admit the system isn't without its faults. Firstly, it needs a good few tweaks to make it better and I plan to post these up sometime in the near future. Secondly, it isn't the most historically accurate system. 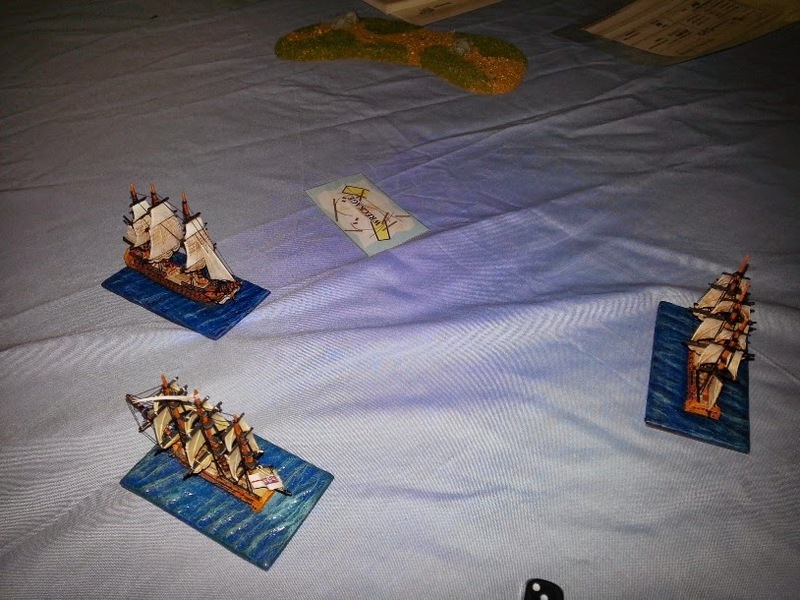 However it is a good place for Napoleonic naval beginners, which we are. It's rules generally try to reflect a historical condition, such as movement of ships, which start from that most downwind first, to reflect the advantage of having the wind gage. Having recently had a brief look at the old Man o' war system I can definitely see the similarities between the systems, but Trafalgar has more emphasis on sailing vessels and wind direction. I've played about 7-8 games of this recently and am introducing new people to the system. So far everyone seems to enjoy it and maybe in a year or so we will move on to a more realistic system. but for now Trafalgar is what we are going to play. In a way the system reminds me of Fantasy Flights x-wing, but with far less maneuverability! Unfortunately the system doesn't really work for large battles like it's namesake Trafalgar, but for smaller engagements of a half dozen ships per side it can be good fun. 1st Rates - The largest ships with 100+ guns. 2nd Rates - 86-98 gun ships that were never very popular. 3rd Rates - The most common and versatile ship of the line with 64-84 guns. 4th Rates - 44-60 guns these were never very popular as not really fit for a line of battle. 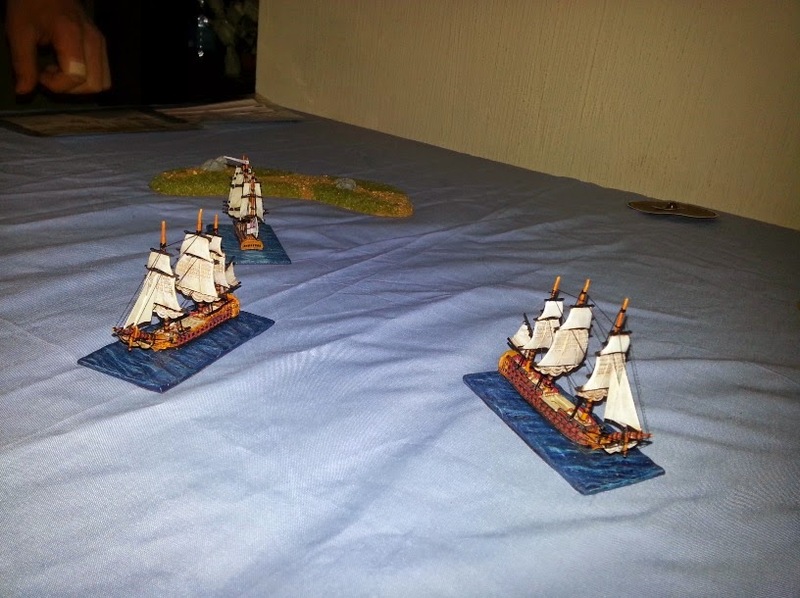 5th Rates - Frigates. 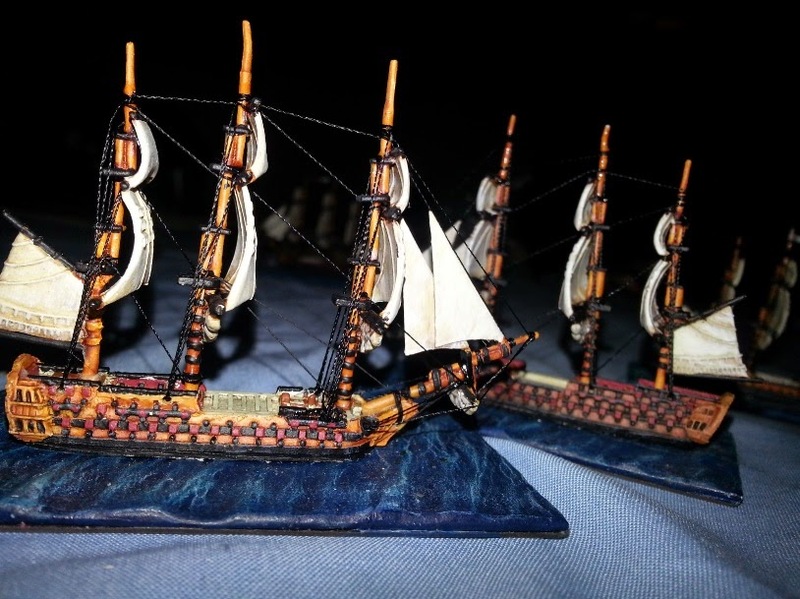 These were the most numerous ship in the Napoleonic Era with 32-44 guns. 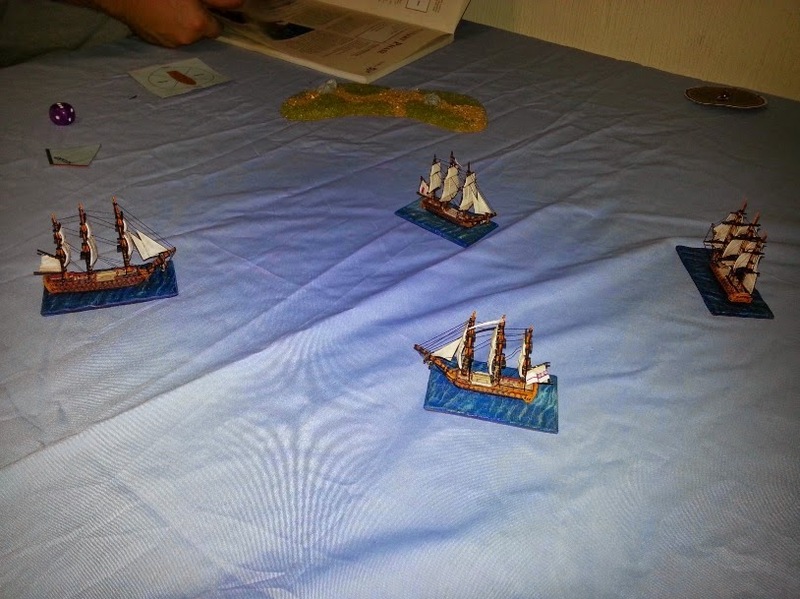 6th Rates - Smaller frigates that fell out of use once 5th rates became more popular. Unrated - All smaller ships such as schooners, sloops, brigs etc usually with less than 20 guns. So far I've built up 2 small fleets and others locally are collecting models too. 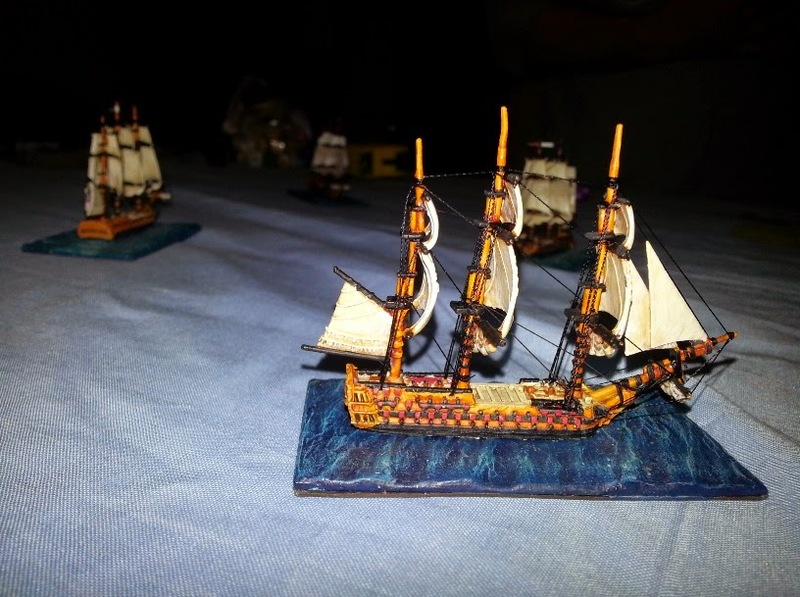 All of my ships are 1:1200 and were purchased from Langton Miniatures. 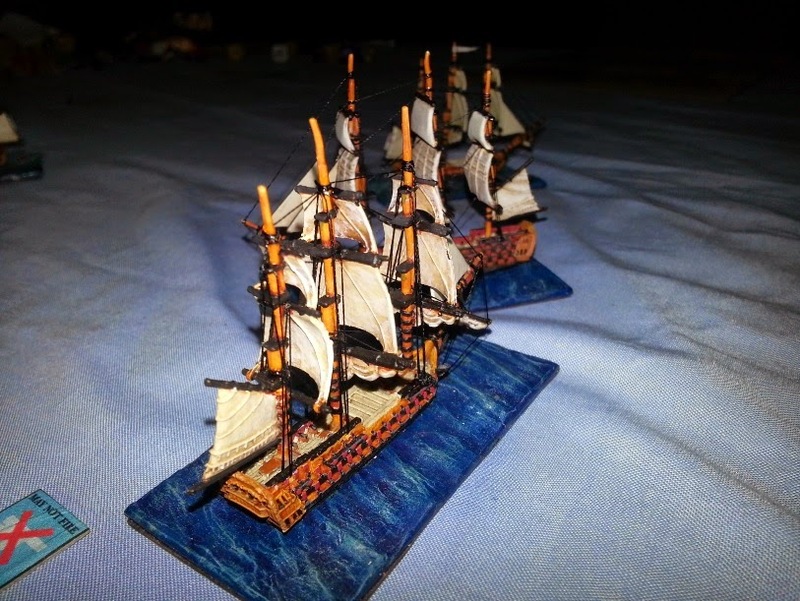 The base, hull and sails are purchased seperately and are reasonable enough cost wise, with larger ships of the line coming in at about €15-€16 and smaller unrated ships costing about €7. They also sell a wide range of buildings to fit the scale. 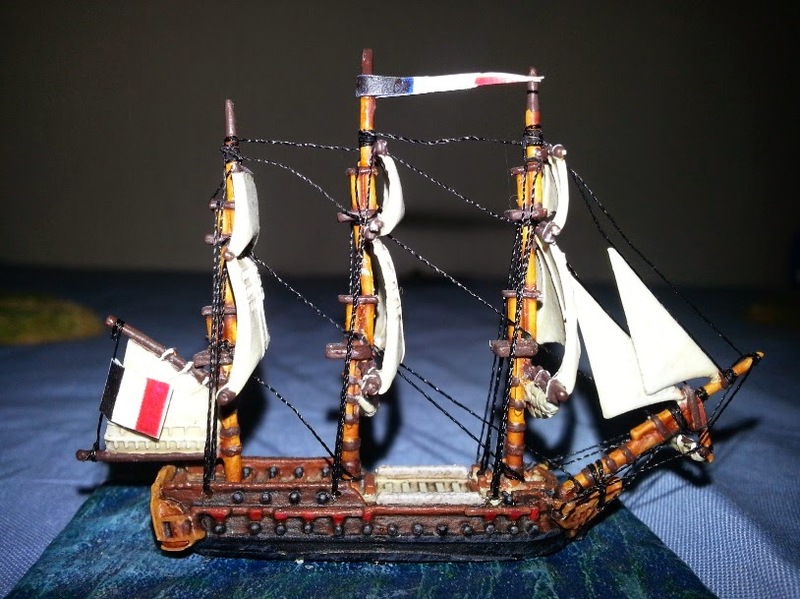 Magister Militum sell a similar range of ships for €1-€2 cheaper and Red Eagle Miniatures are now selling the Triton ships for very cheap, about €6 for the 1st rates! You can easily build a fleet for a fraction of the cost of a GW army as you only need 5-6 ships per side. The ships themselves are easy and quick enough to paint. The small size and relatively little detail means that one ship can be painted in a couple of hours and you can do more than one at once. Although the idea of threading all the rigging may seem daunting to some people it's remarkably easy once you have done one or two ships. There's even a simple guide in the main rule book on how to do this. 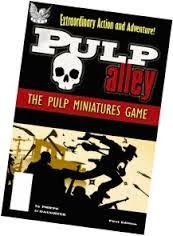 The rulebook for this is unfortunately not in print but there's plenty of PDF's out there for the book and templates. So if you are interested in giving naval wargaming a try and want a simple and easy to handle ruleset then get your hands on a copy and get some ships bought. 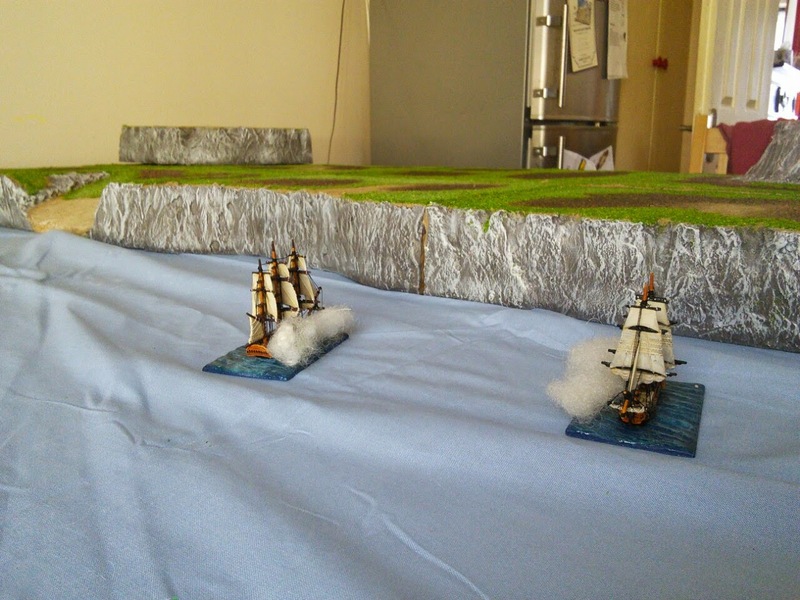 Once you have the ships all you need is a blue bed sheet and some 28mm scale hills to use as islands and you're away.